My wife spent part of her youth in Chicago’s southern suburbs and her parents still live there. We often journey from our northern suburban home to meet them for dinner there and I’m always taken by the vast array of restaurants that I think of as old-school places down there as opposd to the fancier, nouvelle places we have closer to home. By old-school, I mean places with classic dishes at good prices. Nothing fancy or new wave, which is just fine with me. These are the sort of restaurants that truly give you more value for your money. 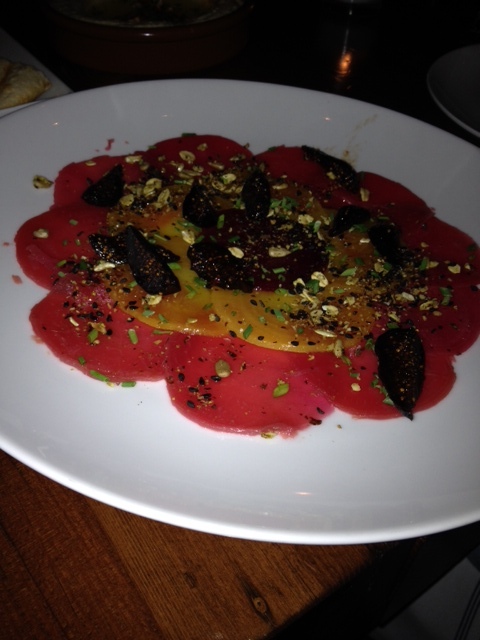 We recently went to one such place, Ciao, for my mother-in-law’s birthday and the food did not disappoint. The service was very slow. We were warned at the start though, seem the place is trying to get more help to deal with its weekend crowds. 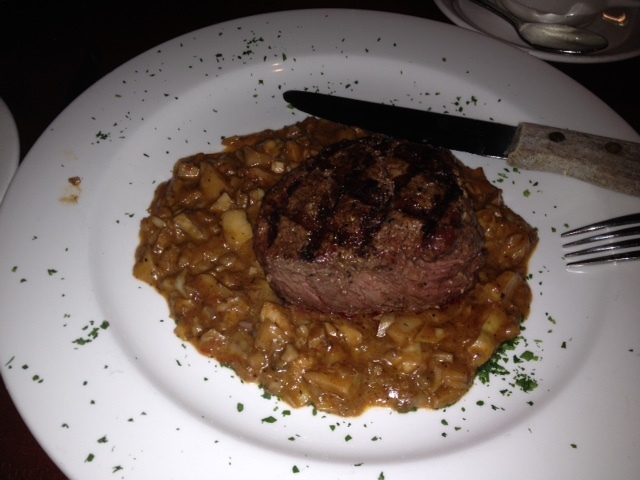 My 10-ounce filet at Ciao. 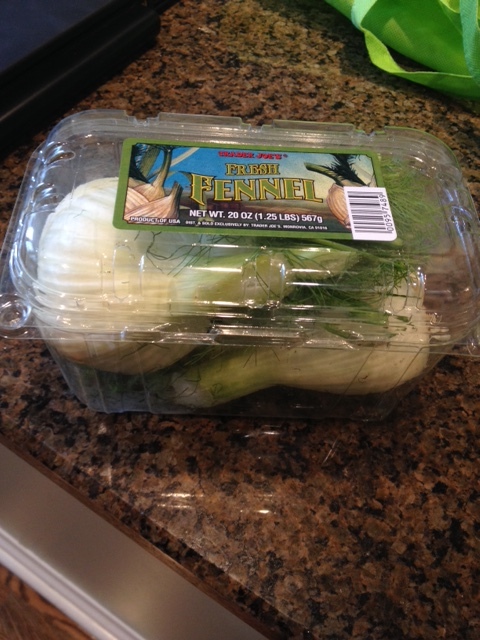 Fennel was one of the fun foods of my Italian-American youth. We’d eat it raw, like celery, while playing New York’s many street sports in those days or just watching TV. It was also a fixture of our Thanksgiving table, again served raw and quartered as a palate cleanser before dessert came to the table. Bread is one of the biggest carriers of evil salt in our daily diets. If you’re trying to eliminate salt as I have been since my angioplasty, you’ve likely given up breads, indeed baked goods, of all kinds. 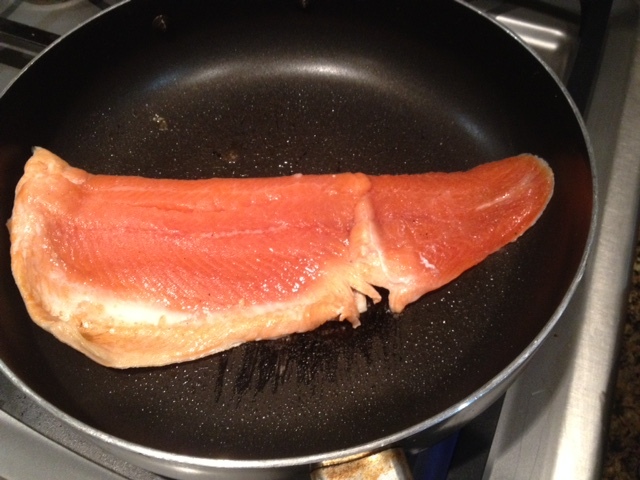 I love salmon and have written about it several times on my blog. I’ll have to ad this recipe to my low-salt recipe page, thanks. 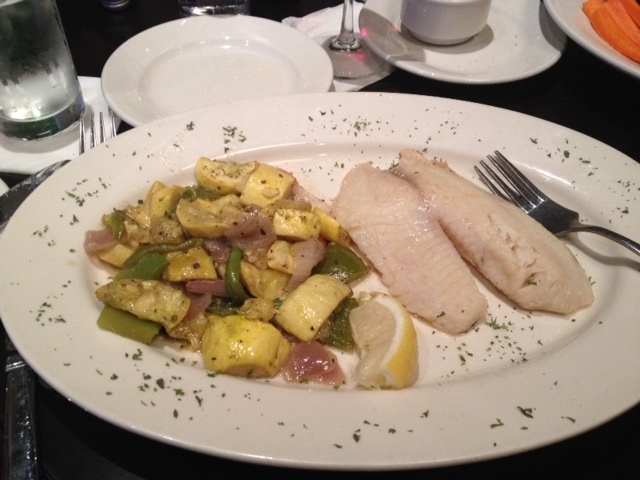 Fish has become a major part of my post-angioplasty diet. But no matter how good they are, salmon, ahi tuna and trout getting repetitious, so I’m always looking for new species to try. One that I enjoy is steelhead trout, a variation of the rainbow trout so prevalent in Midwest fish markets and supermarket fish counters. Steelhead trout served simply with lemon on the side. Steelhead spend part of their lives in the ocean and part in rivers, unlike rainbow trout which are river and stream dwellers. Steelhead is pinkish in color, causing many to confuse it with salmon (and I would think causing some unscrupulous retailers and restaurants to pass it off as salmon). 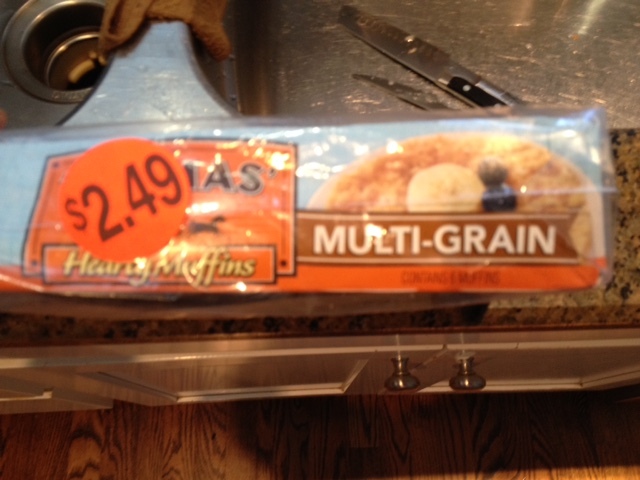 But it’s not as fatty as salmon, nor quite as boney or fishy tasting as rainbow trout. 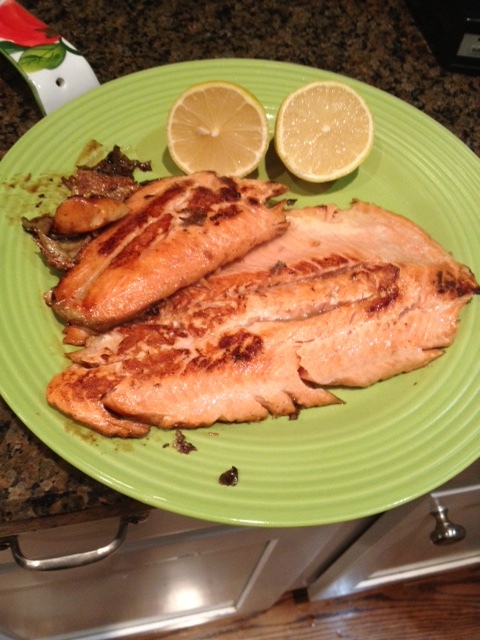 I tend to cook it as I do trout, however, which is to pan broil it in lemon juice, a very simple preparation that infuses it with lemon flavor. 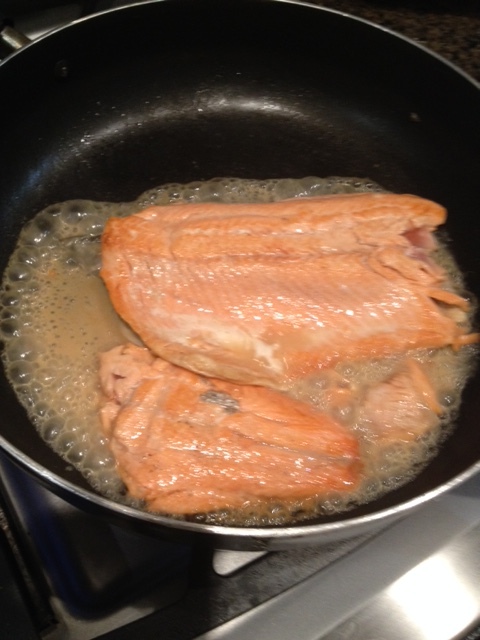 Coat the pan with a spray olive oil to avoid sticking and put the fish in once the pan has heated. I cook it for a few minutes before adding the lemon juice and letting it poach a bit in that (cover the pan as this point). I just use a dash or two of juice, find the level you enjoy and go for it. Start it in a pan coated with a spray olive oil. Then add lemon juice and poach a bit by covering the pan. Eight ounces of steelhead has 12 grams of fat, 4 grams of saturated fat and 80 mgs of sodium. Salt has become one of the evil triangle of foods in my life, along with fat and sugar, since my angioplasty two years ago. Salt is in every processed food we eat, and especially so in snack and baked foods. 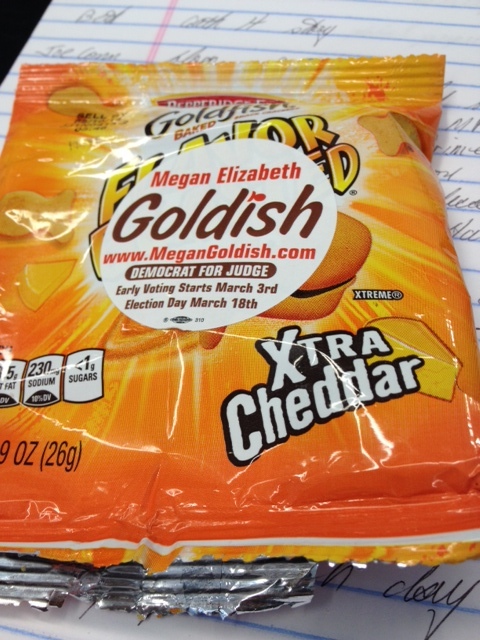 Pepperidge Farm Goldfish, once considered a healthy snack, are one of many packed with salt. Read labels when buying for your children, and yourself. So I wasn’t surprised by a recent headline I saw, Kids’ Food Cravings Mean Diet Too High in Salt, CDC Says.